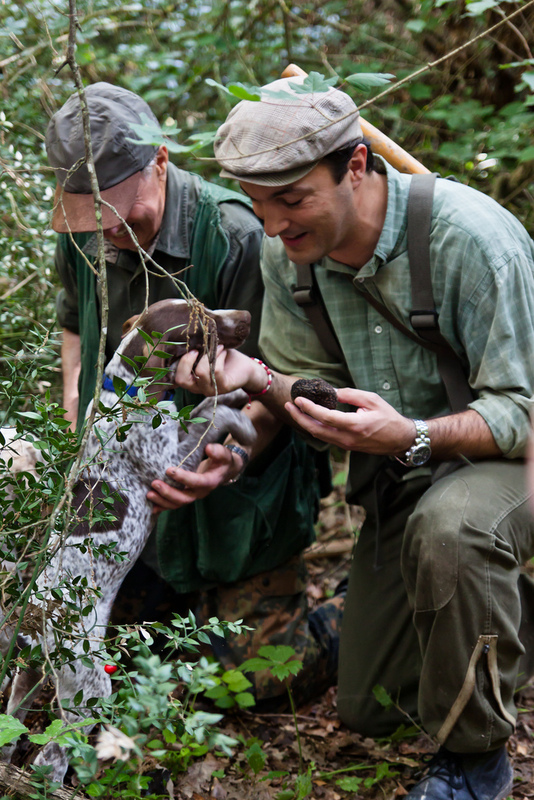 Join a truffle hunter and his dogs on their daily truffle hunt. 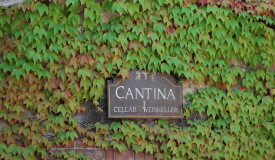 Enjoy a delicious lunch of local specialties (including truffles, of course!) at the truffle hunter’s Agriturismo or local restaurant. 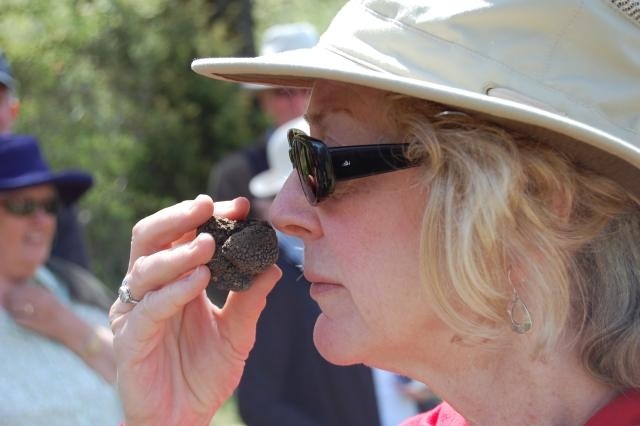 Learn about the history of truffles and truffle hunting. Learn about the history of truffles and truffle hunting. 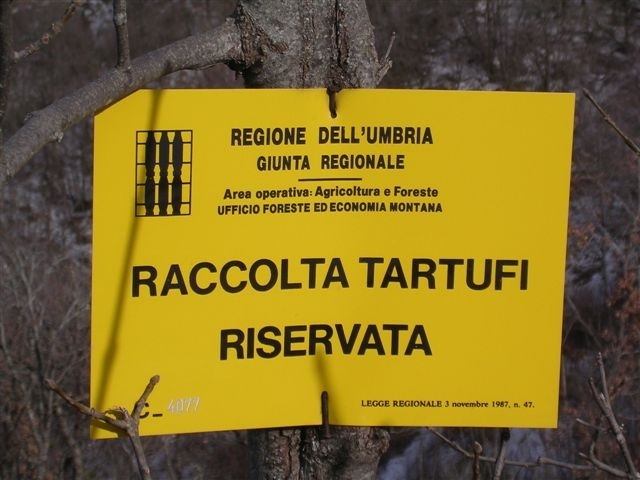 Truffle hunting can be arranged at various locations throughout Italy (in Umbria, Tuscany and Le Marche in central Italy and near Alba in northern Italy). Depending on the time of year and location, it is possible to arrange trips to find both black truffles and white truffles. 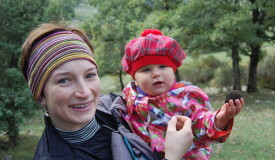 Never too young or too old to join one of our tours! Here at Love Umbria, we like to keep numbers low on our truffle hunts as truffle dogs are disturbed by larger parties. We also like to be honest with clients and would tell you straight away if the Truffle Season is proving poor. We would never, EVER hide truffles to “stage” a mock truffle hunt for you. 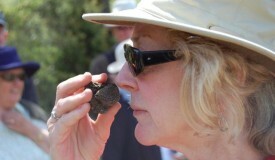 Furthermore, on our tours, you will only taste fresh truffles (plenty). We simply do not arrange outings when the Truffle Season has ended. You might not know, but this practice is illegal in Italy, as it damages the environment. 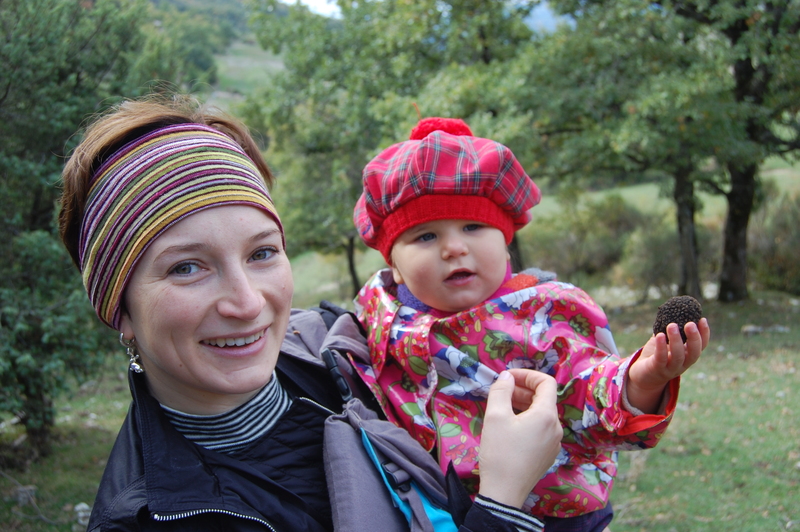 We love our land more than we love profit and most of all, we enjoy teaching people about truffles. One of our mantras: “don’t buy truffle oil as it is a complete rip off and harmful too”. 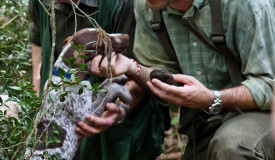 Our Truffle Hunting Trips (Private or Small Groups) usually lasts for around an hour and a half to two hours. 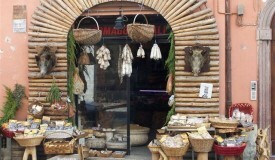 After the truffle hunt, lunch will consist of local salamis and cheeses and truffle dishes, prepared using truffles found by the truffle hunter. 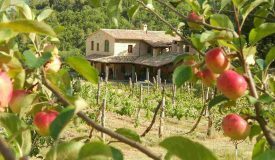 It is also possible to combine the Truffle Excursion with a short Truffle Cooking Demonstration or proper Cooking Class. During the lesson you’ll be able to learn how locals clean, prepare and cook with truffles (making fresh egg pasta, for example). 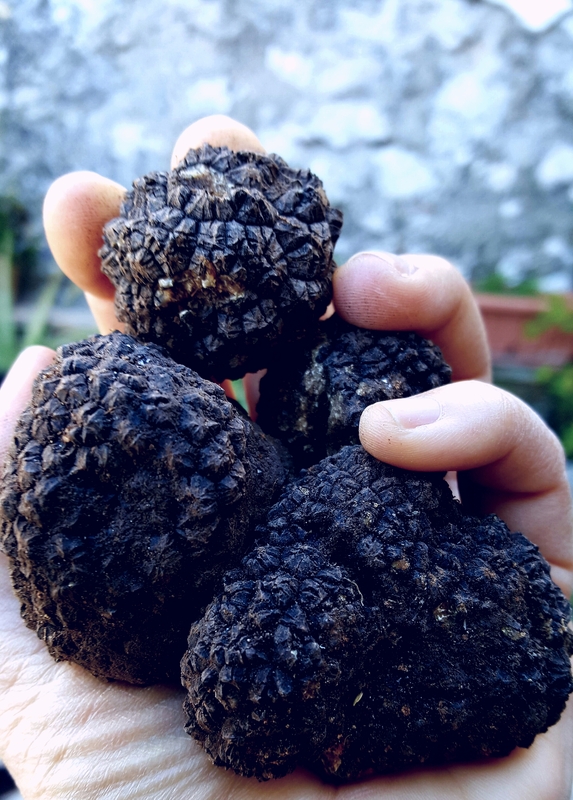 There are two main types of black truffles (“tartufi” in Italian) that you can find in central Italy: the precious black truffle (Tuber melanosporum) and the summer black truffle (Tuber aestivum). 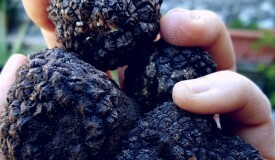 The former is also known as the “Norcia”, “Spoleto” or “Périgord” truffle and is “hunted” from November to March. The latter, only from May until November. Despite the truffle’s reputation as a precious ingredient, it is used extensively in rustic Italian cooking to add a special touch to simple dishes, such as frittata (a type of omelette) and strangozzi (a local pasta dish). 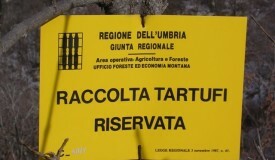 Find out more information on truffles and truffle hunting.